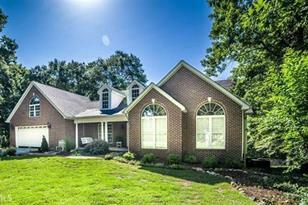 Extraordinary Custom Home in culdesac on private wooded lot w/ inground pool. 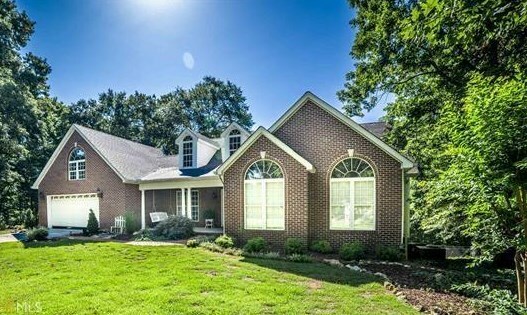 Relax on front porch to open plan w/ hardwds thru main, formal dining, kitchen w/exotic granite, island, venthood, stainless micro, stove and dishwasher, family rm w/ gas log firepl & built ins. Owners suite incl walk in closet, jetted tub, shower, tiled flr and double sinks. Add bedrm on main and bedrm in loft w/ full bath at stairs. Basemt incl oversized rec room, exercise rm, bedrm, bonus rm and full bath. Basement opens to private covered patio. Covered/uncovered deck w/ steps to pool. Driving Directions: From Rome -- Hwy 27S. Turn Left on Adams Rd (1 mile into Polk county). Take first Right onto Meadow Lakes Blvd. Stay to the left. Go to top of hill and make a L on Meadow Lakes PL. Home in Cul de sac. 11 Meadow Lakes Place, Cedartown, GA 30125 (MLS# 6512341) is a Single Family property with 4 bedrooms and 3 full bathrooms. 11 Meadow Lakes Place is currently listed for $349,900 and was received on February 28, 2019. Want to learn more about 11 Meadow Lakes Place? 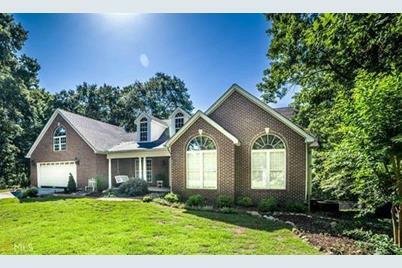 Do you have questions about finding other Single Family real estate for sale in Cedartown? You can browse all Cedartown real estate or contact a Coldwell Banker agent to request more information.